Have you ever imagined living in Hong Kong? To many Asians, it is like a dream come true. I will concentrate on these topics and guide you through where to search for answers just for you, such as job opportunities, clothing, food, accommodations, commute (or transportation), tax and entertainment. A common scene at the MTR station. People running from one train to another train. It's the busy lifestyle in Hong Kong. There were many people in the walk of my life, such as Philipinoes, Thai, Korean and Japanese did end up moving to this city permanently. Some of them were my co-workers. Some of them hold the executive positions in some international corporations. Just like making any life changing decisions, you may want to do some research before making that move. Otherwise, it will be waste of your time and money, right? Crowd in Causeway Bay early in the evening. With so many people in one place, there got to have some job opportunities out there to survive, right? I am sure that your first question would be, "What are the job opportunities for you?" There is a saying, "Nobody starves in Hong Kong." Is it too exaggerating? In some way, yes. What it really means is that if you work hard and smart, there are always opportunities out there for you, especially in this small city. Over 90% jobs in Hong Kong are office jobs. But in the last decade, I saw the transition. Many office jobs do not limit to just the office job anymore. Due to the Chinese economic growth, many of them requires traveling in mainland China. It depends on the requirements and the nature of your job. Some needs to travel or even station all time in China. Some just need to have occasional travel. The frequency and requirement of travel is heavily relied on the customer base and business nature of the company. Before 1990s, if you can speak fluent English, you would have a job. Since 2000s, you must speak fluent Mandarin. If you happen to be a westerner, knowing Chinese is a plus for you. For more info, click here to check out Jobs Hong Kong page. In Wanchai, one of the stores selling clothes of the outlet. Now that you know what job opportunities are out there for you, let's check out clothing. Even if you don't like to follow the trend, you still need clothes to keep you warm. 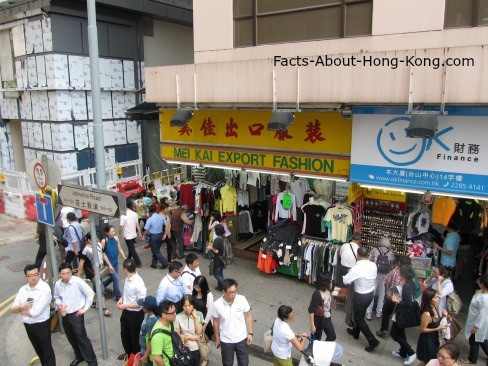 There are a tremendous of brands, styles and collections for you to choose from in Hong Kong. From the price lower than the factory outlet to ridiculously expensive clothing and shoes are all here. I got to tell you. My mom bought us clothes since our childhood from the stores called, in Hong Kong, "import and export" outlet. The clothes are super cheap. I mean the price is as low as HKD10-20 a piece. People think that she spent a lot of money on our clothes. So, you can imagine how great the qualities are, even paying for a little for it. For more details, please check out Hong Kong fashion, Hong Kong shoes and other Hong King shopping pages. 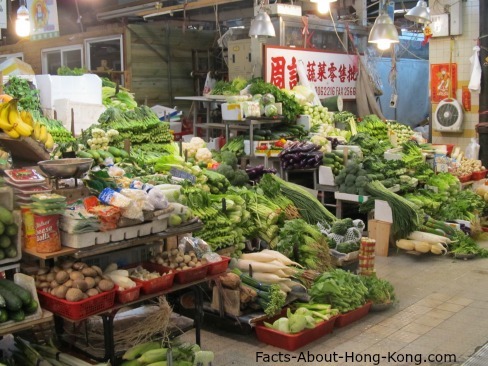 If living in Hong Kong and shop for the fresh produce in the wet market, will you do that on a daily basis? Assume that you may eat a lot at home because cooking your own meal is the most economic and healthiest way for you and your family. So, what is out there for you if you want to dine out? I must say...everything you know and see in the world is available in Hong Kong. Exaggerated? No, I didn't exaggerate it. From fruit, vegetables to exotic seafood. Some may be seasonal. Some may only be available in a relatively remote area in this city. But you definitely can find it. Hong Kong people still like to shop in the wet markets because everything there is fresher. Compared to a few decades ago, the wet market environment has improved tremendously. Check out the Hong Kong wet market, the Western Market, you will know how a wet market used to be. 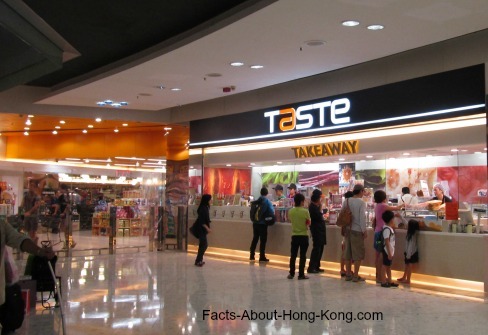 Buying the takeaway in Hong Kong supermarket works perfectly for people living in this city. With the crazy long work day, they can get dinner served on the table with this little bit of help. If you love to shop in the clean air-conditioned environment, you definitely can shop in the supermarkets. Depends on your location, some supermarkets have more varieties than the others even they are under the same corporations. Check out the Hong Kong food shopping page for more info. 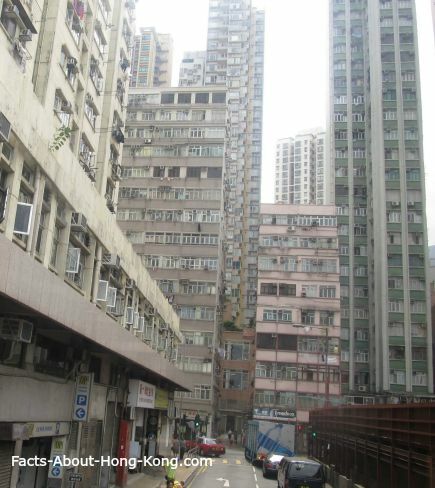 Apartment buildings in Sheung Wan, Hong Kong. The further away, the newer the buildings and better locations. Everybody needs to live under a roof, right? Other than job opportunities, finding a place to live in could be one of the first things that you want to look into. If you live in a house throughout your whole life, you most likely get used to spacious living space. 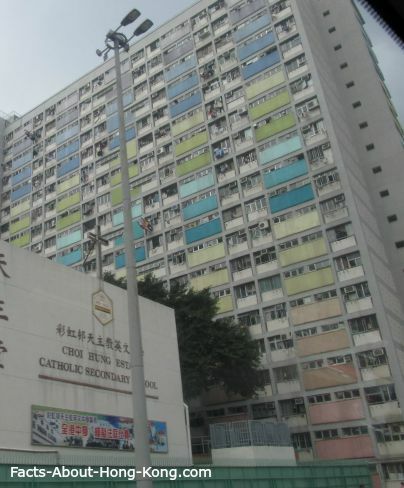 Get yourself ready if you are living in Hong Kong, you most probably live in an apartment. And you may not find many of them as spacious as you expect. Housing is definitely the majority of your expense, no matter it is rent or own. For a new comer in the city, you don't want to jump to the first decision. Take your time to shop around first. Some people, like one of my friends, would stay in the service apartment for a few months while they take the time to shop for the houses. Typically, rental property contract lasts for 2 years. The first year is non-negotiable. In other words, whichever party terminates the contract during the first year, that party is responsible for the rest of the rent of the first year. The second year of the rental contract is mostly negotiable. That means either party can initiate the termination within the time of notice mentioned in the contract. After the second year, either party will re-negotiate the terms again or terminate the contract. When it comes to making purchase, yes, mortgage is available at any bank with application. 10% down payment is the minimum requirement. All real estate agents in Hong Kong are buyer agents. That means they represent buyers who will pay their commission. Courtesy to my long time supporter and fan, Zainam. See those 3 buildings on the back. Those are the Hong Kong private luxury housing estates. 5) the floor you live in. Living on the first floor vs the 20th floor of the apartment building makes a big difference. The higher you go, the more expensive it is. Most of the time, it is the combination of a few or all rules listed above to decide the price or rent of the properties. You need to weigh what is on top of your list and what is the most important factor. For more info, check out Hong Kong property page. How many Hong Kong transportation can you see in this picture? Let's see...trams, buses, mini-buses and taxis. There are some areas in Hong Kong not easily accessible, especially not by MTR. Some are somewhat on purpose, such as the Mid-level or areas above. However, there are definitely some areas waiting for urban development, such as Aberdeen. Places like that will take a while to develop. Due to the inconvenience, the price and rent will relatively lower. 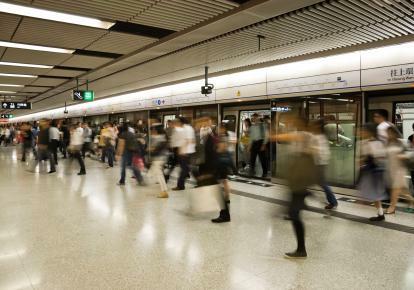 In the eyes of Hong Kong people, how do they define convenience by means of transportation? First of all, MTR is pretty much on top of everybody's list. Then, it will be buses and mini-buses. Taxi will be the last. 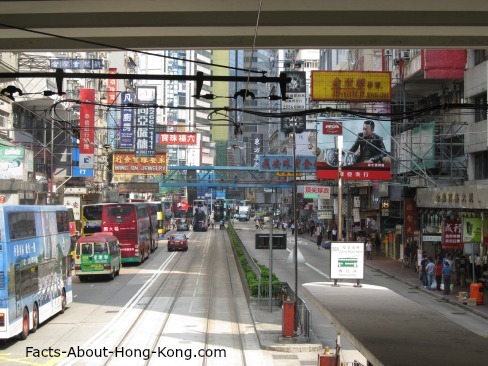 Trams may be considered in some areas which are only available in Hong Kong Island. Ferries are mostly for some isolated islands in Hong Kong, such Cheung Chau, Lamma Island and so forth. Frequency and number of bus routes are also factor in it, too. Here is my advice for you to consider. If you pay lower price or rent for a place where you need to spend a lot of time in transportation every day, how much will it cost you in a year? Different people have different opinion and budget. So, you need to weigh what's the best for you and/or your family. 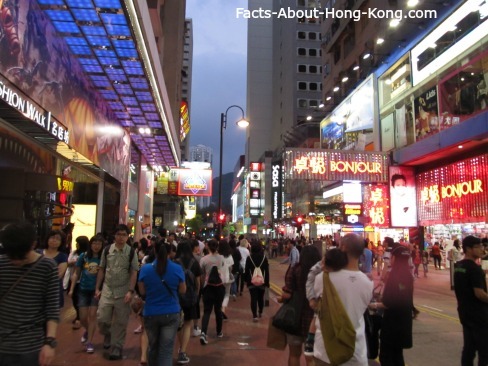 Some people move to Hong Kong to become the citizen of this city because it has very low tax rate. Just like any country in the world, middle class always pay more taxes. However, Hong Kong's tax rate is very, very low compared to any advanced country. Think about it...how many places you go to that you don't need to pay sales tax? Not many, huh? So, how does the Hong Kong government get their money? The tax collected mainly from property tax (any transaction of the real estate properties in Hong Kong), hotel accommodation, income tax, betting duty (gambling tax) and estate duty. Hong Kong does not charge global tax which is one of the major reasons why people become its citizens. A side note, to have Hong Kong citizenship, you must stay in this city for 7 years. That is not leaving its border. You can't even travel to the mainland China or Macau. For more info, Hong Kong IRD (Inland Revenue Department) page. Now, you know a lot how living in Hong Kong will be. You may wonder what kind of entertainment out there for you to spend your weekends or spare time after work. In the past, it used to be something indoor, such as happy hours in the bars, pubs and dining in a fancy restaurant. Then, you would go to watch a movie or shop in a mall. After a while, you may get tired of it. Some even start gardening on top of their apartment building. Some rent a little piece of land, around 100 sq ft big, to do gardening in the New Territories or mainland China. They only go there during the weekends. 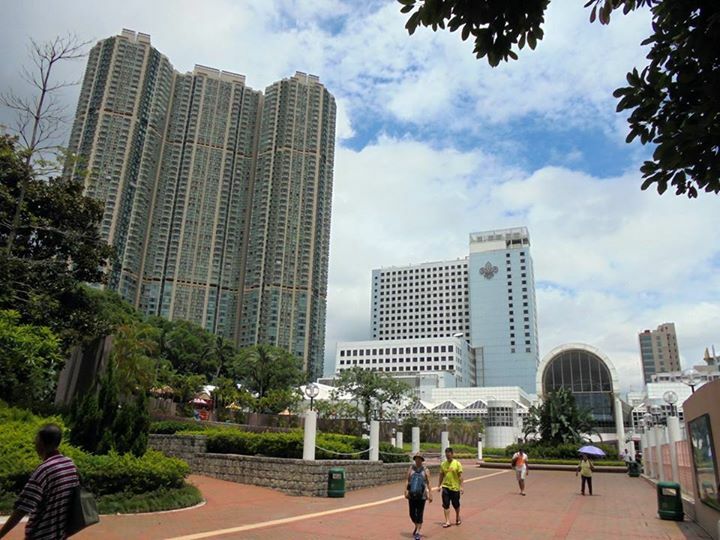 The Hong Kong government has a lot of facilities for sport activities indoor and outdoor with a very reasonable fee. It may be a great idea for a group of friends to visit with each other and work out at the same time. Some people may spend their weekends in other Southeast Asian countries with a super low price. If you are a night owl, find out more about Hong Kong nightlife. You may choose to live in Hong Kong for so many reasons. It may not be perfect. But due to its geographical location, it does offer a lot of advantages.